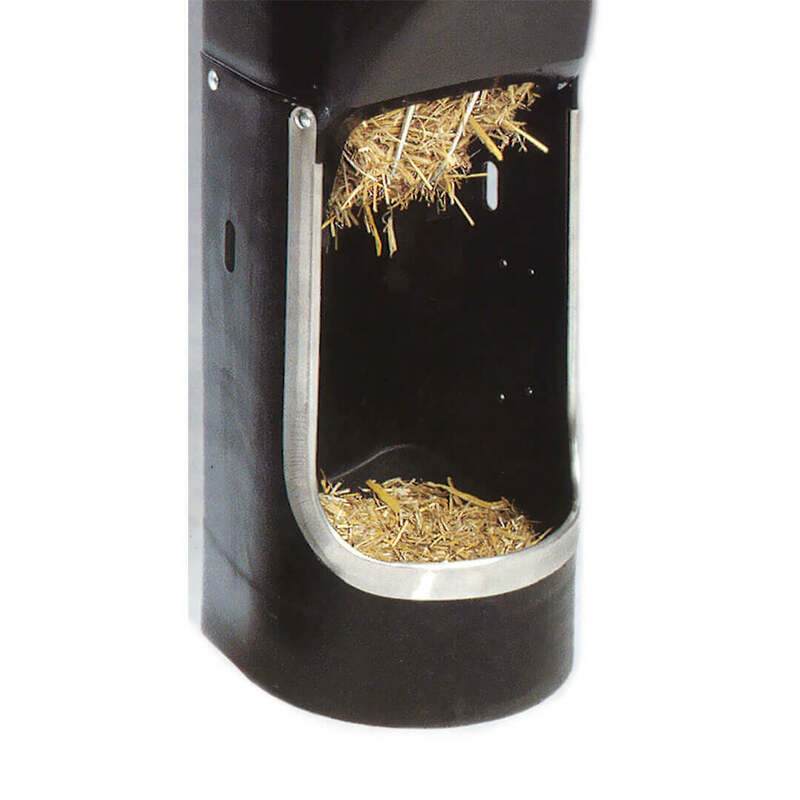 The Anti-Stress Grow Feeder is an ad-libitum hopper with front access for dispensing manipulable material. Access to manipulable materials reduces animal stress, minimizing fighting and such habits as tail biting. In turn, foods rich in fibre have a satiating effect that reduces stress in animals fed on a restricted basis and improves the intestinal tract.